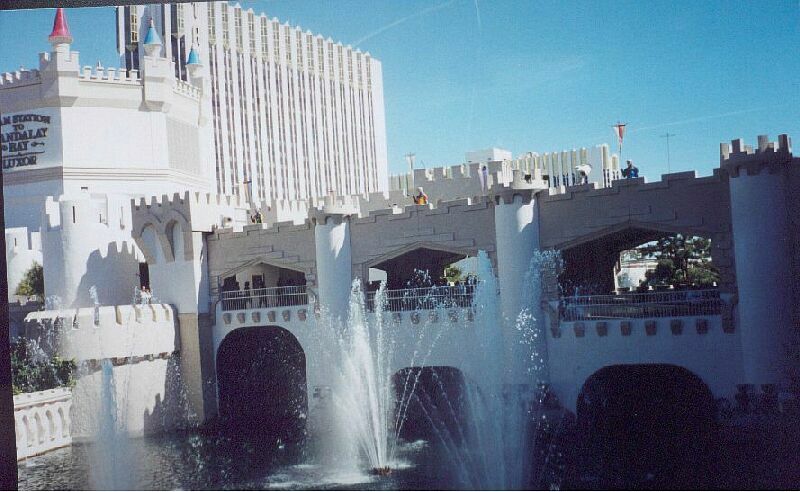 The EXCALIBUR is located on Las Vegas Boulevard and Tropicana, a very busy intersection. Four large resorts are at the "four-corners" intersection - the Excalibur, Tropicana, New York-New York and MGM Grand . This is a medieval castle-themed resort opened in 1990. The design was based on a castle in Bavaria. 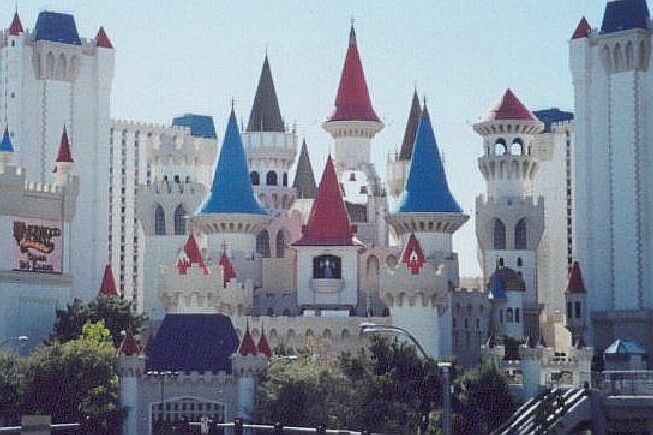 The Excalibur has large gates, turrets, stone walls, a "drawbridge" over a moat, courtyards, carnival games at Fantasy Faire and people in medieval dress. The eateries are called Sherwood Forest Cafe, Camelot, Sir Galahad's, and the RoundTable Buffet. King Arthur's Tournament is a show which includes a banquet feast and a jousting tournament with knights and horses. 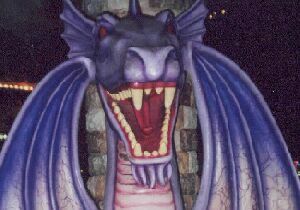 Free entertainment - In the evening a dragon emerges near the drawbridge but disappears when Merlin casts fireballs at it (now discontinued) . 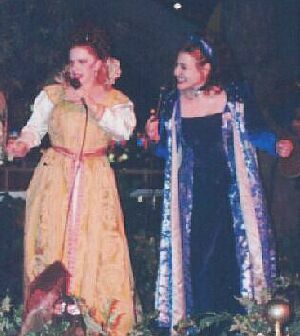 On the second level (Medieval Village) mimes, puppeteers, jugglers, musicians, and magicians perform daily at Court Jesters Stage. You might also run into some wandering minstrels and singers somewhere in this huge resort. A free tram connects Excalibur, Luxor and Mandalay Bay. There is also an enclosed walkway between Excalibur and Luxor.